As the sales trainer for Renault South Africa I achieved amongst the top scores in the National Dealer Association dealer satisfaction survey 3 years in a row, including the results published in 2013. It brings great joy and a sense of purpose to feel that you are truly able to add value to people’s lives. 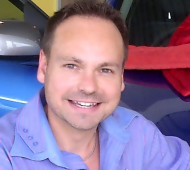 My current clients include Nissan SA, Kia SA, Tata SA, and Renault SA. I often refer to TetraMap as the “Tapestry” of TetraMap. It has the most magnificent way of weaving teams, departments, and people together. TetraMap breaks communication barriers, opens people’s minds, and gets even the most unproductive, sceptical teams and individuals talking and thinking “success”. TetraMap, has changed the way I view business communication with both Internal and external customers. It is simply a must for any retail outlet or corporate looking for a game changer! Tyrone’s 10 years of successful experience in vehicle sales, as both a sales executive and later as a sales manager, mean that he can relate well to our sales force. He speaks their language; he connects with his groups. Tyrone plays a critical role in the continued growth of our business, ensuring that all who come into contact with him understand both our brand and products. Tyrone has a well researched view of our competitive environment which gives him the credibility needed when dealing with our Sales Executives, Dealers, and group senior management. The relationship between successful Sales Executives and training was evident when it emerged that all nine “Club of Diamonds” finalists including the winners had been trained by Tyrone previously on the “Renault Sales Way”. We consider Tyrone as our “competitive edge”!